Malcolm is the BC Academic Chair in Patient Safety and Professor in the Department of Anesthesiology, Pharmacology and Therapeutics at UBC. Raised in Victoria in the 1960s, he studied biochemistry at Oxford and epidemiology at Harvard in the 1970s. While teaching research methods at Harvard in the 1980s, Malcolm invented the case-crossover study design, now a standard tool of epidemiology that has recently been used to investigate triggers of patient-safety incidents. He retains the position of Adjunct Professor of Epidemiology at Harvard School of Public Health. 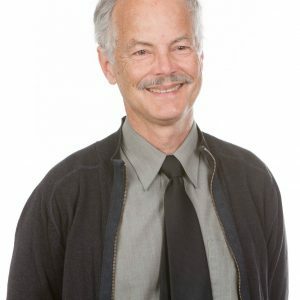 In 1991, he joined the BC Ministry of Health Services and began applying epidemiologic methods to health services research, particularly randomized trials of prescribing education programs. He was Michael Smith Foundation for Health Research Distinguished Scholar and Professor in the School of Health Information Science at University of Victoria, 2002-2006. One of his research projects evolved into a Ministry-BC Medical Association program called Education for Quality Improvement of Patient care (EQIP). His last position in the Ministry of Health was Co-Director of Research and Evidence Development in Pharmaceutical Services Division, 2009-2012. Malcolm is the principal investigator of the interprovincial Academic Detailing Evaluation Partnership Team (ADEPT), a co-investigator with the Canadian Network for Observational Drug Effects Studies (CNODES) and co-investigator of the evaluation of Island Health Authority’s Stroke Rapid Assessment Unit. He is a member of the Patient Safety and Quality Working Group for Curriculum Renewal of the UBC Medical Undergraduate Program.